Hi. I’m Rob Fullmer and I’m a designer. I wasn’t always a designer. 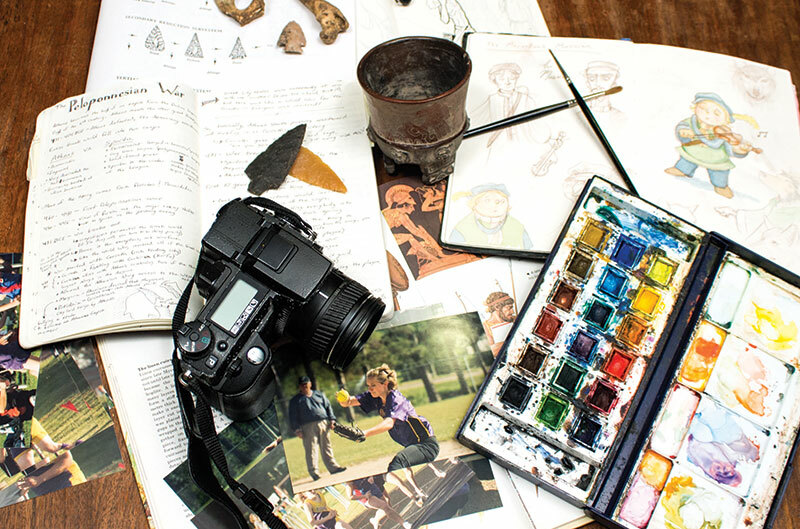 I’ve worked as an archaeologist, reporter, photographer, illustrator and cook. All of these jobs (well, almost all of them) have helped turn me into the designer that I am today. I love to pull elements from who I am, whether it is a love of history or my sense of humor, and work it in to my designs. I still have a love of history and exploration, which shows in the Epic History and Swashbuckler film festival projects, but I also understand that each project has a story of its own and needs to be customized. For me, one of the most important elements in any design is the story that it tells. In fact, if a design isn’t working, more often than not, the problem is either in the hierarchy or in its storytelling. The best designs tell a distinct story and take their audience through a beginning, a middle and an end. That is what I strive for in my designs. Some of the projects rely heavily on storytelling, like Epic History where there are distinct stories being told with the design systems. Other projects have more subtle, or simpler stories. For example, in Reading First, the entire story boils down to a simple equation. Whether elaborate or simple, storytelling makes or breaks a design. Enjoy the stories told through these designs and contact me if there is a story I can tell for you.